Google on Wednesday kicked off its annual I/O developer conference with a keynote led by CEO Sundar Pichai. These keynotes typically serve as the launch pad for new products / services and this year was no different. 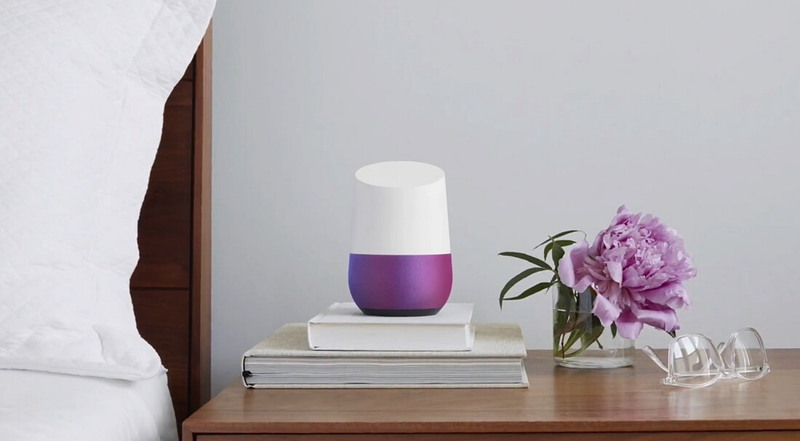 The first major product announcement at I/O 2016 was Google Home, the search giant’s answer to Amazon’s Echo personal assistant. Google Home is still in the early stages of development but here’s everything we know at this hour. Google Home is an attractive device that doesn’t look all that different that OnHub, its reimagined Wi-Fi router. Users will be able to customize the base through a variety of different colors of either fabric or metal. The upper portion of the device is white and features a clean face that’s button-free. Its three primary tasks are to provide music and entertainment throughout a home, manage everyday tasks on your behalf and make the power of Google search accessible via voice commands through what’s called the Google assistant. Google Home can serve as a Wi-Fi speaker that streams music and podcasts from the cloud. Google says it’ll deliver rich bass and clear highs although those claims won’t be verified until we get some hands-on time with the unit. Optionally, users can send music from their Android or iOS device to Google Home through Google Cast. By utilizing multiple Google Home devices and Google Cast, you'll be able to, for example, play music throughout the house or just in a single room through voice commands. You can also control video content in the same way. As the name suggests, Google Home can also serve as a control center for the entire home. It can handle basis tasks like setting alarms and timers in addition to creating shopping and to-do lists but what really makes it appealing is that it can tie together your smart home accessories. As such, you’ll be able to control your lights, thermostats, switches and more simply by using voice commands. Google said it plans to work with developers in the future to expand its capabilities outside of the home, allowing users to book a car rental, order dinner or send flowers to a loved one. Last but not least, Google Home will serve as your gateway to Google search. Again, basic tasks like checking the weather or seeking out facts on Wikipedia will be possible but you’ll also be able to ask complex tasks like how much fat is in an avocado or the jersey number of your favorite athlete. You can even ask follow-up questions in which Google will understand the context and return the correct answer. Look for Google Home to launch sometime later this year. No word yet on pricing although I suspect it’ll be positioned to compete with Amazon’s Echo or perhaps even undercut it.